We hope you have a wonderful Christmas, full of festive cheer. If – like us – you’re aiming to make the best of the holiday season, it’s a good idea to think ahead and make sure you stay safe in your home. Unfortunately, Christmas Day is generally the worst day of the year for fires – with claims rising by up to 120%. Accidents with cooking, candles and Christmas lights are often to blame. So, to help keep your Christmas merry, follow these simple fire safety tips. Choose a fresh tree – not one that's already shedding needles. Stand it in a large, stable container away from doors, fireplaces and heat sources. Water it regularly and spray it with flame retardant if possible. carbon monoxide alarms are a must all year round. They could save your life. The Fire Brigade aren’t the only people who are busy at Christmas. Unfortunately, the festive season is also a busy time for thieves. 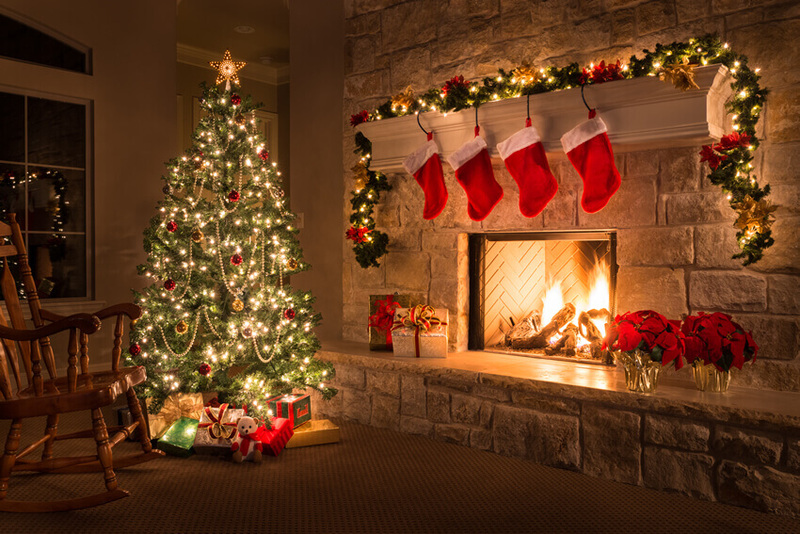 Make sure presents can't be seen from outside your home, so you're less likely to be the target of a break-in. If you don't already have a sensor light outside your house, think about installing one. Source: Christmas day fire claims: Aviva Claims Calendar, 2014. Have you got the home insurance you need this winter? Talk to us to check you’re covered.